spoken in a sure and grace-filled voice. Past-present-future. Beginning-middle-end. Mama-daughter-son. Life goes the way it goes, and usually in unexpected directions. Rian looks far back to her Scandinavian roots to explore what remains, cultural and genetic ties as tethers to something bigger than the literal visceral skewing of life expectancy statistics relative to her own health and her family. Rian’s son was born with medical issues, cuing a decade and a half journey of doctors, tests, fights with insurance, surgeries, and scans. When her children were 10 and 12 their father suddenly and inexplicably passed away at age 44. While driving home from the beach after scattering his ashes, and thinking about when they had married on that very beach years before, she absent-mindedly felt the side of her head and noticed a lump that turned out to be a tumor. Past-present-future. Beginning-middle-end. What remains. These are poems that live "between grief and happiness"—poems about struggle, hope, acceptance, anger, poems full of things that matter, and contradiction, poems extraordinary for their compassion and tenderness even in witness of terrible happenings. And, above all, poems of great beauty, spoken in a sure and grace-filled voice. Kirsten Rian’s grasp of the universe is unique and enormous. She can lead the reader’s vision, in the space of two lines, from "the velocity of sky" to "the distance/between you and me." There are hard subjects in these pages: a CT scan or a tumor inside a child’s skull; yet the poetry is lovely no matter what, since her language remains luminous and musical. Her poems are like the trees she describes in the poem, "Indivisible": "Sometimes on windy days I watch trees. And the strongest branches always sway the farthest, batting about the air, holding on to nothing and everything at the same time." The scope of this work—both geographical and emotional—is huge. It holds on to nothing as it lets go and allows the rhythms of language to hold it aloft; and it holds on to everything as it tackles even the hardest of subjects, with an almost Plathian sensitivity to the consonants and vowels within each word. 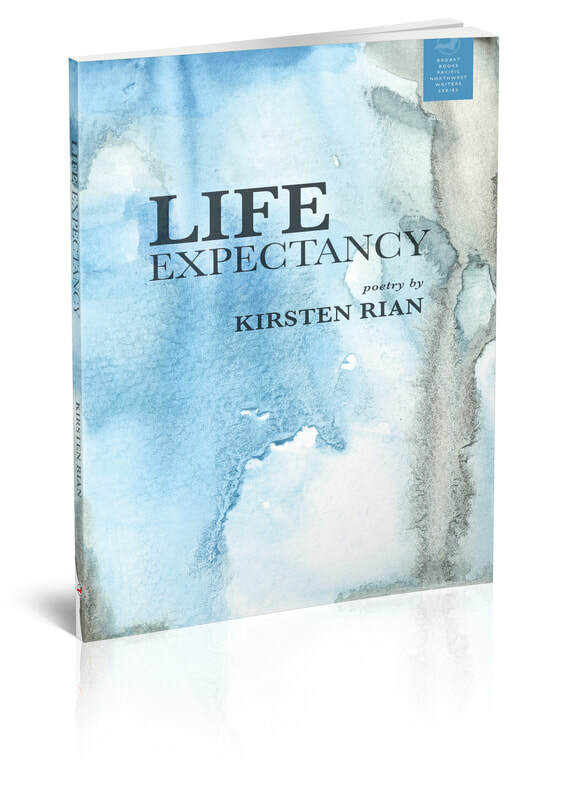 Kirsten Rian’s Life Expectancy comes forth in three parts because her poems embrace questions of abused life and vital hope from myriad directions. These poems demand an unblinking stare at cruelty, and offer intimate consolation in moments of grace, sending a small torch for survival in dark caves of human trouble. Rian knows the terrors of war in a distant land that can splash the news, and the often hidden terrors of local life, both can hurt at the bone in equal measure. Pain is certain, she says, but the reasons are more complicated—and this is what requires the intricate delivery of her poems. "Between grief and happiness," these dense blessings bud from her struggle, and will blossom in you. Kirsten Rian’s poetry and prose have appeared in numerous publications. 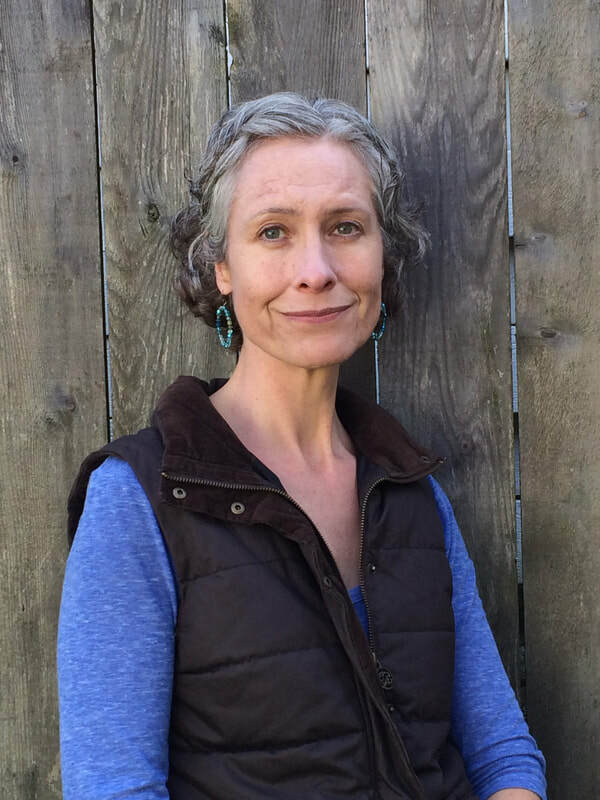 She has been awarded artist fellowships, grants, and international residencies, leading creative writing workshops both domestically, as well as internationally in locations like post-war Sierra Leone and refugee relocation centers in Finland, and with human trafficking survivors, using creative writing as a tool for literacy, community, and peacebuilding. She has been a volunteer language facilitator for non-native speakers for 20 years. Her anthology of Sierra Leonean poets and their accounts of the civil war, Kalashnikov in the Sun, was published upon her return from a fellowship in West Africa. She is also a photography curator and multi-disciplinary artist.